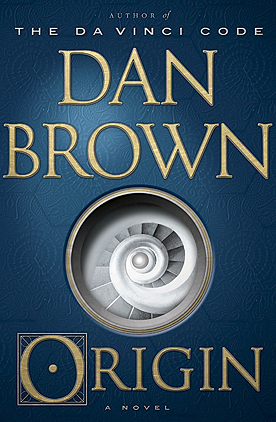 Kate here in for Kim: So Kim is reading this book by Dan Brown... and sometimes I feel like the only person in the world who doesn't care for Brown's novels. But he sells books, which as a bookseller, I appreciate. This is another Robert Langdon book (Tom Hanks for you movie goers out there), book number 5. Looking over the summary, I might read this one- Langdon's student is an Edward Kirsch- Kirsch being a family name of mine. It's also the German word for cherry (random fact of the day!). Anyways, hope you have time to read, Kim! I read this book many years ago after watching the movie (which at the time I had to do through back channels because the movie hadn't yet been allowed in the US). I've been wanting to do a re-read for awhile, so I assigned this to my book club... forgetting that's it's a chunkster. It's a fast reading chunkster, but still. It's also hard to get, so I ended up buying a bunch of used copies to share with book club members, but then I found it on audiobook through Libro.fm, so I'm doing both the audio and the physical book (SO MANY CHARACTERS). 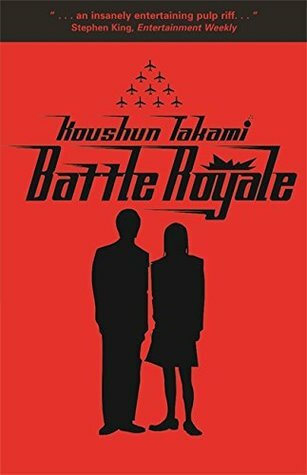 When Hunger Games came out, a lot of people pointed out that it was very similar to Battle Royale, although Collins claims she had not heard about Takami's book until well after she wrote HG. I believe that it's possible she hadn't read the book or seen the movie- it is a Japanese novel that took some years to be translated into English, and Collins might be a good person who has never gotten their movies through dubious methods. But do I think she at least saw a blurb or a review on the book that planted the seed for Hunger Games? 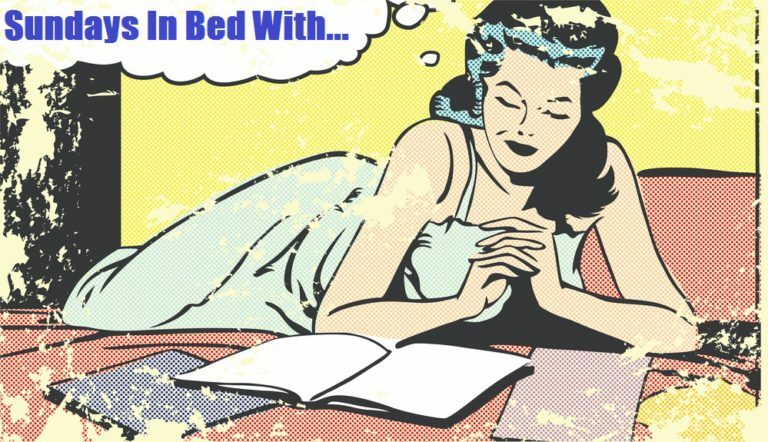 Yeah, I kind of do. So, Battle Royale takes place in Japan under a fascist government who uses junior high classes to basically 1. Instill fear and obedience in the people 2. Military training shiz (their claim, I think it's just #1). Every year 50 classes are selected for Battle Royale, each taken to a remote area, and given weapons and stuff to kill each other until only one remains. Unlike in Hunger Games, all participants wear collars that can be blown up at any time, and it's not televised. If a class makes a pact not to kill? Whelp, then they all die. No one kills within a 24 hour peorid? Whelp, then they all die. Battle Royale is the story of one class and their battle. There are 42 students, and you get to see how they die. Some are on page for only a brief time, others you really get to know and care about... until they brutally die. The main character's story, Shuya, is our every man to root for. He loves Bruce Springsteen, playing guitar, is an orphan, and he's trying to save the girl (Noriko) that his best friend has a crush on. And he's dealing with classmates who are running around an island with sickles and machine guns, and some of them are in it to win it. Seriously, there are at least 2 psychopaths in the mix.